Deciding to lose weight is a big deal, but actually losing the weight is another story. Many people decide that they want to lose weight but don’t do anything about it because they are worried that it is going to be too hard. Luckily, if you have decided that you want to lose weight there are some easy things you can do to lose weight. The best part is that they do not involve diet pills or fad diets; they are all natural ways to lose weight. Whoever said you have to quit eating junk food to lose weight? Chocolate, particularly dark chocolate and cocoa, is one of the easiest natural ways to lose weight because of the antioxidants that are found in the chocolate. Fiber, which dark chocolate is a great source of, is needed to help you lose weight because the fiber absorbs fat. You do need to be careful with how much chocolate you eat because of how high in calories chocolate is. 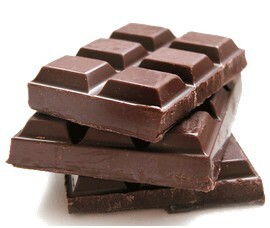 If you think you can’t control how much chocolate you eat, try the next way to lose weight naturally. This natural way to lose weight helps because it helps you build up your will power. By building up your will power you can create a new image for yourself, which should be a skinner you. Once you have developed that new image you need to make that your desired future outcome by using hypnosis to motivate you to eat right and lose weight. If you enjoy sleeping, you can actually use that to your advantage to help yourself lose weight. Studies have been done that’s how women who sleep more than 7 hours a night are more likely to lose weight than women who only get 5 hours of sleep a night. If you received a Wii Fit as a Christmas gift, you can put it to use right away. The Wii Fit is one of the funniest and easiest ways to naturally lose weight. The games that are provided for the Wii Fit are designed to provide you with an easy and light workout that allows you to burn some extra calories. Do you like pampering yourself? Did you get a spa package for Christmas or the New Year? If so, you can put that spa treatment to work losing weight for you. Studies have shown that just 20 minutes of a strong massage will help you burn around 150 calories, but it must be a deep tissue or Swedish massage, not a relaxing stone massage. 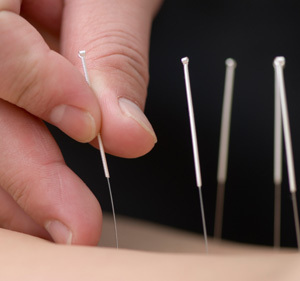 Despite what you might be, thinking acupuncture is not a painful treatment, but it is an effective way to help you lose weight naturally, so book your appointment today. Acupuncture helps you rebalance your organ system so that everything is running up to speed; this helps increase your metabolism and strengthens your will power to keep losing weight. Having an energetic pet is a great way to lose weight for two different reasons. Having an energetic pet requires you to walk or even run around the neighborhood with them, which gets you up and moving. Pets also help reduce stress, which means you will be less likely to overeat due to stress. 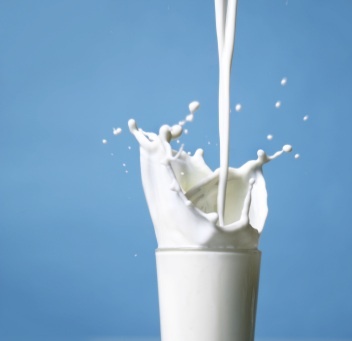 American researchers have found that people who eat a lot of calcium weigh less and have less body fat than people who do not consume any calcium. Studies have shown that one cup of milk or a thumb-sized piece of cheese was enough calcium to make a difference in the weight loss. Drinking hot green tea or oolong tea is a great way to help you keep the unwanted weight off. Both types of tea help keep the weight off because they increase your metabolism, but they also naturally burn fat. Laughing more throughout the day can increase your energy consumption by 10 to 40 calories, all you have to do is laugh long and hard, and 10 to 15 minutes should do the trick. Laughing also helps you develop a positive attitude, which is needed to accomplish any kind of weight loss. During 2009, many people faced a rough road, but by taking the time to read this article you have committed yourself to trying to make a change, just by smiling and laughing you can start the long process of making yourself a better person. Best of luck in 2010 from www.NaturalTherapyForAll.com!